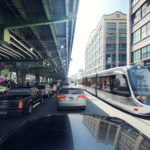 This week the City of New York unveiled potential routes for the Brooklyn-Queens Connector (BQX), the $2.5 billion streetcar line that could connect East River–adjacent neighborhoods in Queens and Brooklyn. 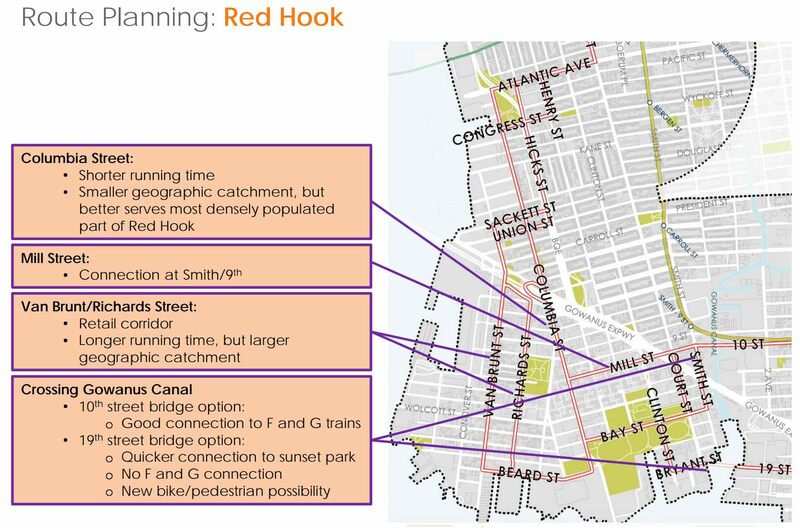 A key goal of the BQX is to deliver reliable public transportation to the waterfront, where many residents a half-mile or more walk separates many residents from the subway. 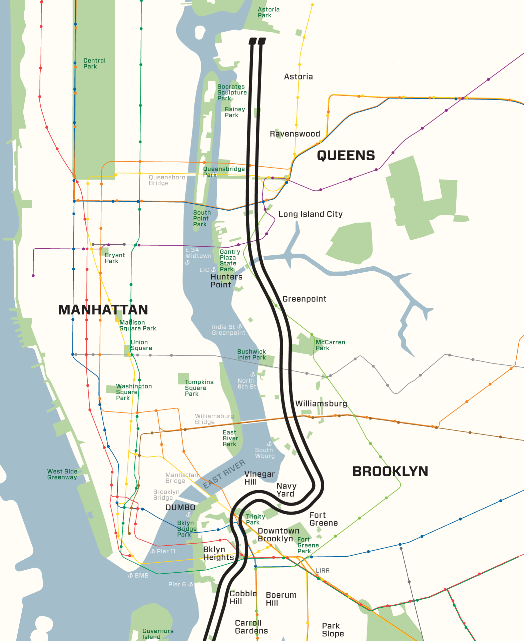 In May, a representative for engineering firm Sam Schwartz, the streetcar’s transportation consultant, said that available maps are “very and deliberately vague description of the route” because city agencies, in collaboration with Friends of the Brooklyn Queens Connector [sic], the project’s nonprofit spearhead, were still hammering out exact routes. 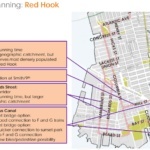 After months of anticipation, these routes are out for public review. 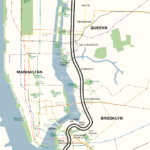 Maps released by the New York City Economic Development Corporation (NYCEDC) and the city’s Department of Transportation (DOT) show potential routes for the 16-mile line, which is set to open in 2024. 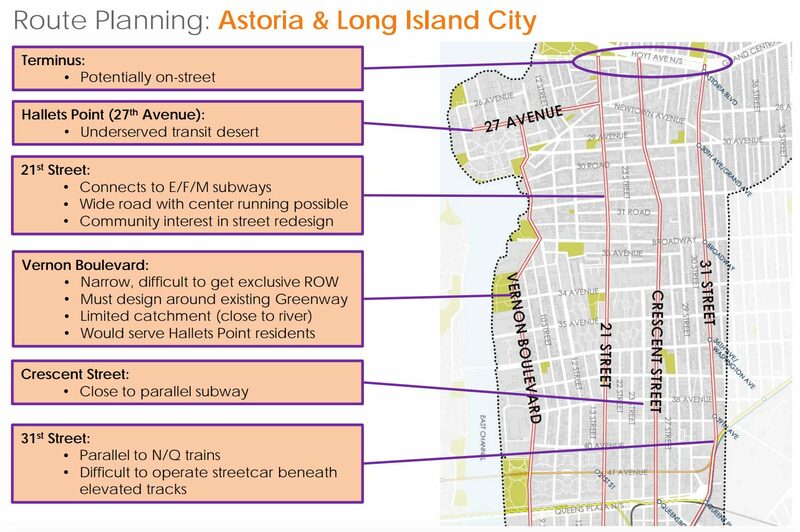 The BQX maps are both descriptive and ideative. 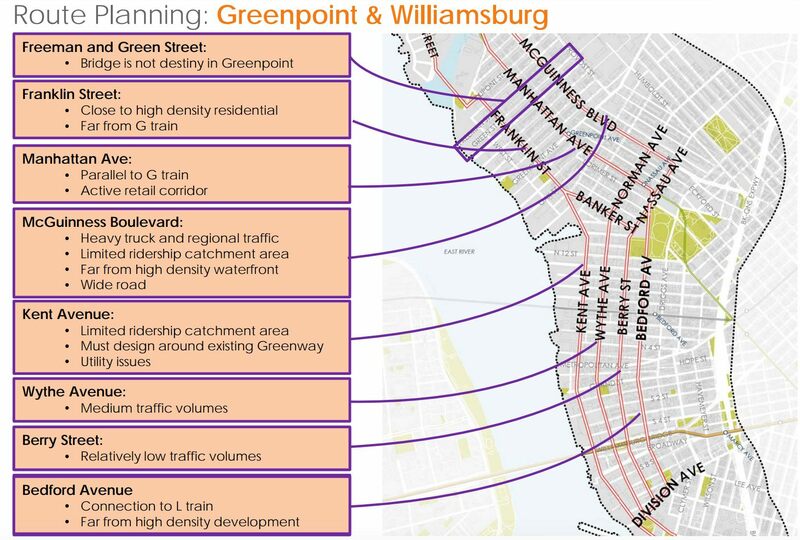 Williamsburg’s Berry Street could be turned into a streetcar- and pedestrian-only thoroughfare—like Downtown Brooklyn’s bus-only Fulton Mall, only sexier, because buses. 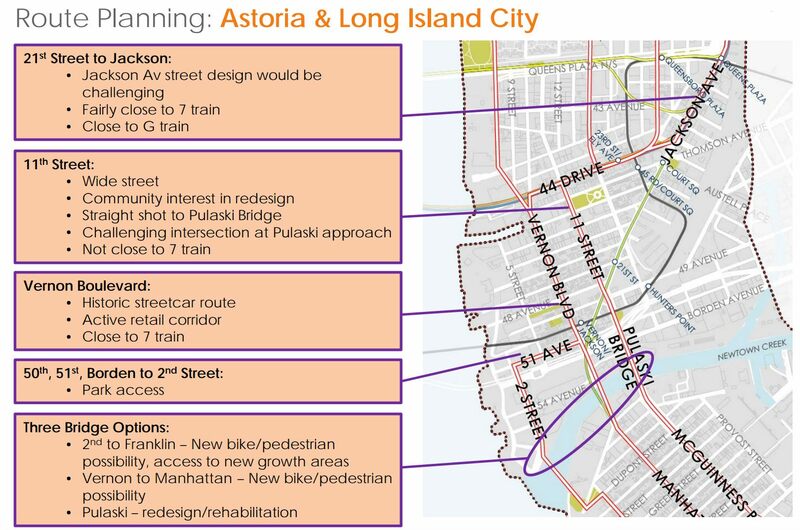 On the other hand, new crossings over the Gowanus Canal and Newtown Creek could raise project costs, though this wouldn’t impact (state-led) MTA projects like the Second Avenue subway because the BQX is financed by local government and speculatively by a projected rise in real estate value along the route. 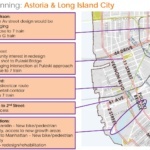 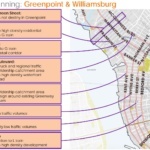 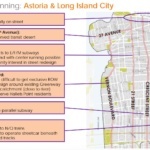 By New York City walking calculations, there is less-than-desirable pedestrian access for some proposed routes: Of the four streetcar scenarios in Astoria, Queens, two are more than ten blocks from the waterfront, a “transit-starved” area. 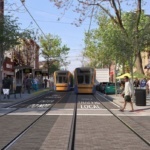 Residents will have the opportunity to make their voices heard. 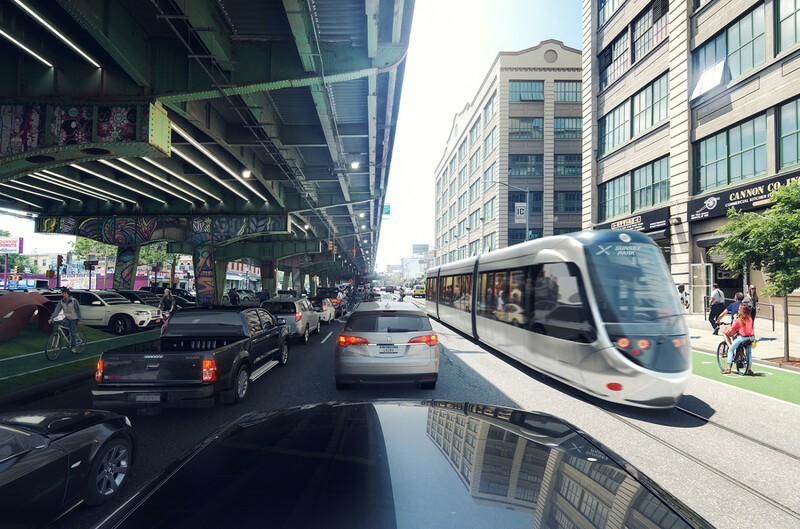 Over the next few months, the city is soliciting feedback on the BQX routes at community boards in Brooklyn and Queens. 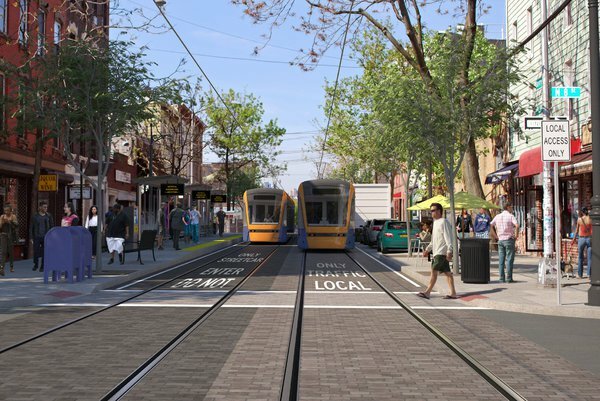 Pending a successful environmental review, the project could break ground as early as 2019.